Ladies and Gentleman… the moment you have all been waiting for…I have made my first wearable garment! 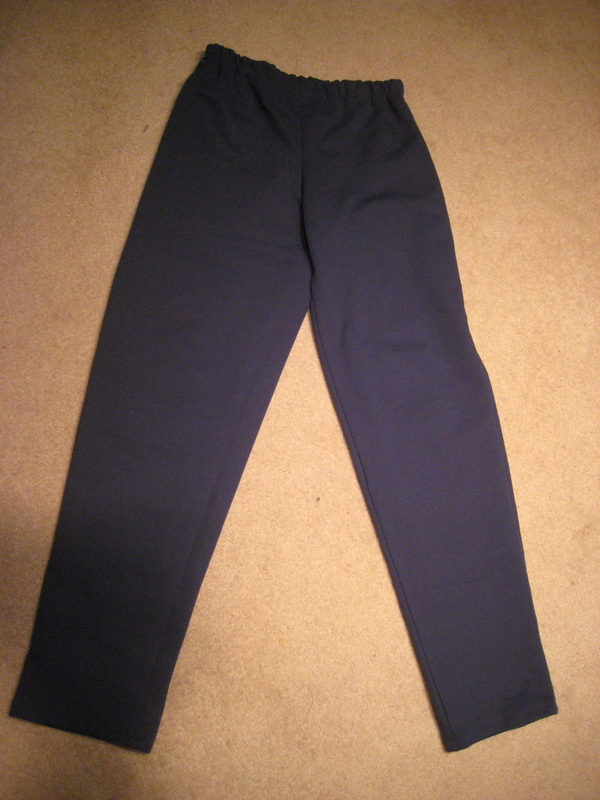 I made a pair of sweatpants. I am so excited that I am wearing them right now. This is such a defining moment for me. From choosing the fabric, to cutting the pattern, to measuring and finally constructing; I have executed all the necessary steps of simple garment construction successfully. Ok… granted they are just a pair of sweatpants. Pants I will probably never wear on the street but they are truly the best pair of pants I have ever owned! The length is perfect. The waist is perfect. The fit it perfect. These pants are just my size. There is no greater garment than the one custom made for you. But even greater than that; there is no greater garment than the one you made for yourself. So here I am sitting in these pants I made and I am smiling. Here I am trying on this fashion designer thing, and I think it is just my size. Congratulations! You have every reason to be proud of yourself.